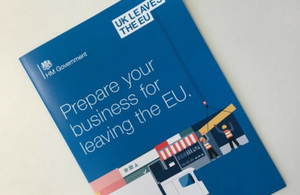 BEIS has published a leaflet which contains some of the actions that businesses can take to prepare for when the UK leaves the EU. The leaflet includes guidance on the wide range of support available to help businesses grow as the UK leaves the EU. For updates on developments in food and feed law and related scientific and regulatory issues have a look at our Food and Feed Law: legislation review document collection.